Your latest album, Wild Lines: Improvising Emily Dickinson, was inspired by the 19th-Century American poet Emily Dickinson. Which aspects of her work most attract you? the way she creates imaginative metaphors by linking up words from different universes….it all feels very musical to me and similar to improvisers’ thought processes. On April 13th, you will perform at the Baruch Performance Arts Center in NY with the same members that recorded the album. What are the qualities you most admire in your bandmates and what can people expect from this performance? They are all mature composer/ performers with years of experience as bandleaders. That brings an enormous amount of maturity to the choices that they make when they’re improvising. And the accumulated time that we have spent playing together brings a depth to what we can achieve as a group. It’s really special to play and develop a repertoire of music with improvisers who know each other that well. Each performance is like an opportunity to surprise our ears. Being a multi-awarded saxophonist and prominent female figure in the current jazz scene, what do you have to say about sexism in jazz? Being a musician is a life-long journey and it’s always good to keep your eye on the larger arc of things. Thinking like that can help you both hold to your vision and keep perspective on the times that challenge you. Your style attains a perfect integration of avant-jazz and traditional elements. Who inspires you in both currents? 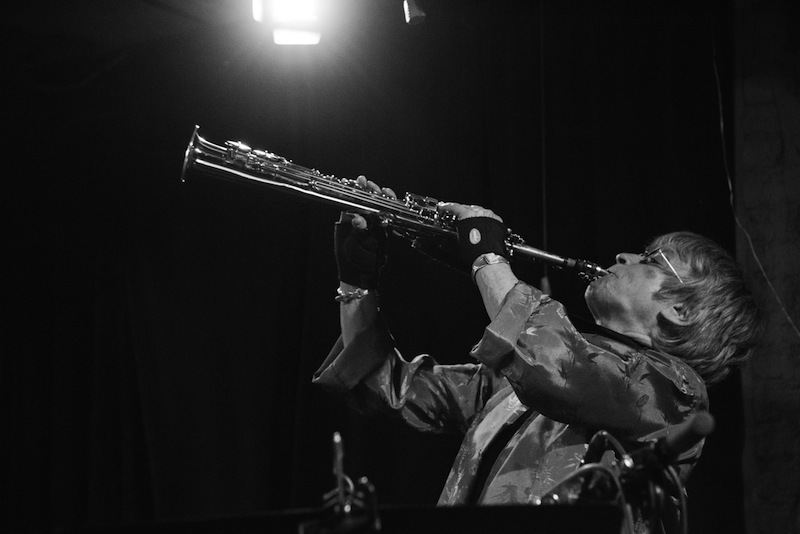 I gravitate towards exploration, curiosity, and imagination wherever I see it…whether it’s in the poetry of Emily Dickinson, the expressionist paintings of Jackson Pollock, the figure skating of Torvill & Dean, or the solo improvisations of Sonny Rollins. When did you realize you wanted to become a professional musician? I always knew I was a musician but it wasn’t until the end of my senior year in college that I knew that I couldn’t do anything but music as a profession. It chose me. Which other styles do you listen to? I like listening to all kinds of music where I can sense an authentic voice. I often hear new things that my students bring into class. I’ve been full-time faculty at the New School for Jazz & Contemporary Music in NYC for twenty years and hearing music that interests them helps keep my ears fresh. What would you change in the current music business? I think more women in positions of power in the recording and jazz festival/ arts presentation sector could make a big difference toward gender equity in the jazz world. Have always been fascinated with theatrical lighting design. I look forward to some upcoming performances with my quartet at the Iowa City Jazz Festival in June and The Monterey Jazz Festival in September. WBGO FM is also going to record a live performance of Wild Lines for later broadcast. I’ll be playing with composer Sarah Weaver’s Ensemble at the DiMenna Center (NYC) on June 8th performing in real time with bassist Mark Dresser’s group in San Diego and a Korean ensemble in Seoul. Have been thinking about musical ideas that would work well recorded in surround sound. Since receiving the 2018 Grammy for Early Americans for Best Surround Sound Album I’ve been interested in composing music that has possibilities in that direction. Not really sure what the next project is going to be yet but that’s the whole fun of it.